Aaron Swartz shaped the internet as we know it; he was a significant programmer and internet activist. Obviously it is always sad when someone chooses to take their own life, but especially when it is someone so young, talented, with so much more to give. Aaron Swartz was the founder of Demand Progress which fought against internet censorship, specifically the SOPA and PIPA Bills. He was very involved in issues of technology and freedom, and campaigned so that copyright laws would not override peoples rights to freedom of speech. He was part of the team that created Creative Commons and worked hard to put huge amounts of data into the public domain. In September 2012 Swartz was taken to court charged with 13 counts of hacking for allegedly downloading academic journals from JSTOR at MIT, supposedly with the intention of releasing them into the public domain. Swartz pleaded Not Guilty to the charges. MIT backed down but the federal prosecution continued to press on. He struggled to afford the legal fees and may of his supporters rallied to try and raise the funds. His friend Cory Doctorow speculated that the fear of going to jail may have contributed to his suicide. He also suffered from depression and migraine which he talked about openly with his friends and blogged about on the internet. (I have suffered with these myself and can personally attest that they are horrible, horrible conditions and I’m sure we’ve lost far too many good people to them). Ironically perhaps HSTOR announced it was releasing four and a half million articles into the public domain just two days before Swartz’s suicide. Aaron Swartz achieved a lot in his life. He co-authoured RSS aged just 14. He also released the Python framework web.py as free software and (essentially) co-founded Reddit, the internet sharing site. He developed the site theinfo.org and was contributing editor to The Baffler. He was a television commentator and writer of many influential articles. 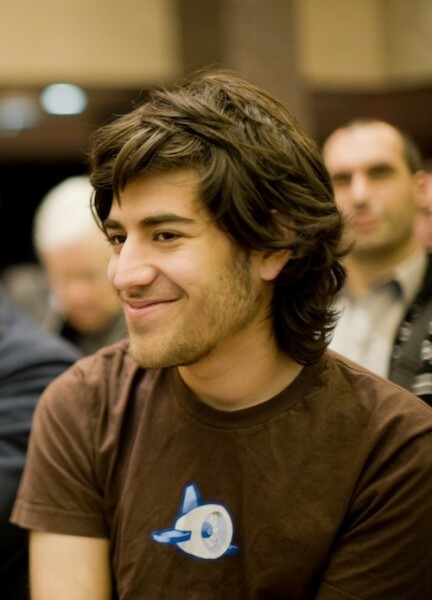 Aaron Swartz’s suicide is a terrible tragedy and a dreadful loss. The internet has lost it’s greatest defender, inspirational leader and brightest spark. I’m sure I’m not alone in my sadness; his loss will be felt by millions, but especially to his family and friends who my heart goes out to. He will be so missed.